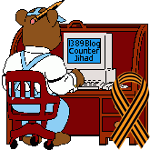 Jimmy Kimmel’s Update on the Anti-Vaccination Discussion — 1389 Blog - Counterjihad! Last week on the show we got a group of real doctors together to do a public service announcement urging parents to vaccinate their kids. While a lot of people enjoyed it – it also made a small group of people unbelievably angry. Jimmy believes strongly in vaccination – but in the interest of fairness, we gave our community activist team Jack and Becky some air time to express their anti-vaccination views.